Only last month it was reported that the Chief Executive Office (CEO) of Zylofon Media, Mr. Nana Appiah Mensah had acquired a private jet. Acquiring a private jet could cost up to $40m, $70m or even $100m but these list of wealthy Ghanaians can afford them easily without any effect on their net worth. 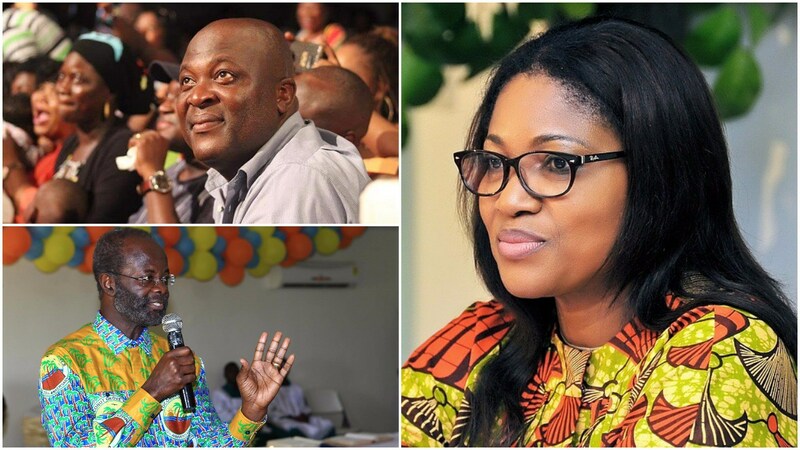 Today, we bring you the Top 8 Ghanaians who have the cash to purchase if they desire to. The brother of former President John Dramani Mahama, Michael Ibrahim Mahama is the first on the list as he is worth $1.6 billion. Mr. Ibrahim is CEO of Engineers and Planners, the largest indigenously owned mining company in West Africa. Mr. Ibrahim Mahama can easily own a private jet if they wants to because a private jet which costs $40 million, $70 million or even $100 is nothing compared to his net worth. Mr. Ampofo is the CEO of Kampac international PLC whose headquarters is located in Dubai and operates in several industries. The location of his headquarters alone should tell volume of how much Mr. Ampofo is worth. Mr. Ampofo net worth is $1.4 billion, and is just $2 million short of Mr. Ibrahim Mahama. Mr. Jonah who is currently the Executive Chairman of Jonah Capital, an equity fund, is believe to own about 14 mineral resource assets across 10 countries in Africa. Mr. Jonah is also falls just $2 million short of Mr. Charles Ampofo. He can also afford a private jet with a lot of change remaining. Dr. Duffuor is number four on the list with a net worth $680 million. He is CEO of House of Duffuor Assest Holdings, and his largest holding is in Unibank, one of the finest banks in Ghana. The founder of Jospong Group, one of the largest conglomerates in the country with 32 subsidiaries. He is the brains behind Zoomlion. The first woman to appear on the list, Dr. Theresa Oppong Beeko is the brains behind Manet, a real estate company, and she is as well the President of Manet Group. She happens to be the second wealthiest woman in Ghana. Papa K as I always call him, is the Chairman of Groupe Ndoum. Mr. Ndoum has several companies under the Groupe Ndoum which cuts across media, banking and finance, sports and insurance. Madam Grace is the founder and CEO of FC Group of Companies. She is worth $100 million. Her company has several subsidiaries which include FC Beauty College, Ghana’s premier beauty therapy training institution, FC Cosmetics Industries, manufacturers of Forever Clair skin care, hair and makeup products, and FC Skin & Beauty Klinik which offers beauty and wellness services to its clients.